IENA realizes that we are running a program that is taking your loved one thousands of miles away from you and putting them in an unfamiliar environment. Everyone who works at IENA has worked at camp. Some of us came through similar programs from the UK. We understand the concerns and questions that loved ones have. The following is a brief list of FAQ’s for parents. If you have ANY concerns that are not addressed, please feel free to contact our office. Applicants complete an online questionnaire and upload references, photographs, certificates and a background check. We then use this to create a profile. Once all questions have been answered and the proof of intent deposit has been paid, one of our local recruiters will contact the applicant to arrange an interview. It is after this interview that we will decide on the applicants suitability for the program. If the applicant is suitable for the program, the profile and interview report is sent to the reputable camps we work with and made available for browsing by camps on our online system. Acceptance onto the program is not a guarantee of placement. Once accepted by IENA, the applicant must submit certain documents. All paperwork is required by the US Department of State for all persons applying for the J-1 visa which is required for participation on the summer camp program. Once the appropriate fees have been paid, we will process the documents and distribute the documentation necessary so the applicant can apply for their J-1 Visa. Applicants are required to attend an in person interview at the US Embassy. The interview will take a few hours and requires the applicant to submit their passport to the embassy for up to 14 days in order for the visa to be issued. IENA provides full instructions and support for Embassy appointments. 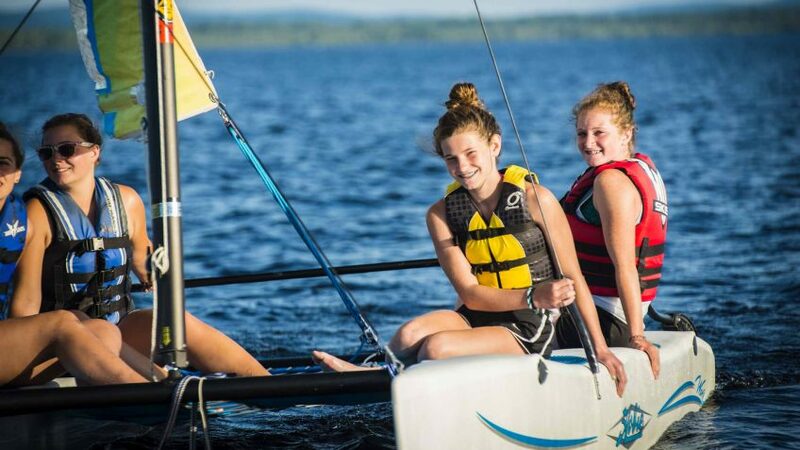 Placement at camp can occur anytime between being accepted onto the program and the end of June. Once we have placed an applicant at camp we will arrange contact with the camp so that transportation arrangements can be made. We help all participants with this. Camps will either pick their staff up at the airport or give us detailed instructions for domestic ground travel. Applicants should be aware of how they are getting to camp and should contact IENA if they are unsure. Do not expect a phone call or an e mail immediately after a staff member arrives at camp. Camps can be rural with limited phone and internet access. All IENA participants earn a salary whilst at camp. The minimum amount ($1600) is determined by IENA, however some camps may choose to pay more. This is paid by the camp directly, as participants are employed by the camp, not IENA. At the end of camp, participants have a period of time in which they are allowed to travel. Many participants use this time to visit friends or travel throughout America. It is the participants responsibility to plan their travel home. Are there any costs outside IENA's program fees? Yes. Participants are required to pay for their flight. In addition the embassy also charges a fee for the in person interview (approx $160) and a police background check typically costs £45 to £60. How much money should my son/daughter budget for camp? As much as they can afford. We recommend that they take at least $300 in cash to begin with, whilst making sure they have access to additional funds. If they don’t have a bank card that will work abroad, take traveler’s cheques. We suggest access to at least $600 total. Does IENA provide medical insurance cover for my son/daughter? Yes! IENA insures all participants from the moment they set foot on American soil until the moment they leave (up to a max of 4 months). Any extension, beyond that of the maximum of 4 months, will be charged at $100 per month. Their insurance covers most medical care within the USA and up to $500,000 of treatment. If you wish to purchase more coverage, you may also purchase your own additional policy for your young adult. It is also possible to purchase travel insurance as an upgrade to the medical insurance provided by IENA for an extra fee. What if my son/daughter has a problem at camp? If your son/daughter contacts you about problems at camp please ask them to talk to their camp supervisor as they are in the best position to provide assistance. If they have done that and still have problems please ask them to call our US Office on 1-888-724-4292 for assistance. We also have an emergency 24 hr support line set up on there. If my son/daughter has a family emergency and needs to return home immediately, what should they do? If my son/daughter chooses to leave camp before the end of their contract, or is asked to leave by their camp, what happens now? They should call our US Office immediately on 1-888-724-4292 to explain the situation. They will be responsible for any flight change fees and will be liable for any fees that would otherwise be paid by their camp to IENA. Please refer to the Program Agreement for more detail.